I recently picked up a copy of The Goddess Revolution with hopes of it being an extra boost in my recovery from an eating disorder. However, it wasn’t exactly what I had expected. Here’s my thoughts and review of the book. I’ll readily admit that I sometimes judge a book by it’s cover, and I’m also a sucker for bright colors. Naturally, the blast of neon paint splattered across the front of The Goddess Revolution by Mel Wells drew me in. However, that’s of course not the only reason I bought the book. 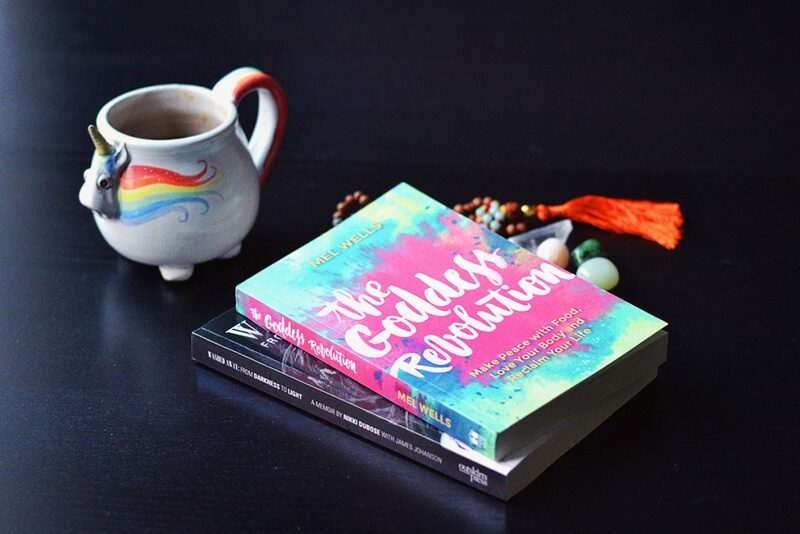 The short description of The Goddess Revolution promised to be something for those who have struggled with diets, food, body image, or weight. Well, hello, that’s me. I started reading the second I had the book in my hands. Eager to be filled up with body positive vibes. I was expecting this book to be an extra boost for me in addition to my recovery from an eating disorder. About half way through, I started to realise that The Goddess Revolution wasn’t really what I had expected it to be. Now, I don’t want to say that it was bad, because it wasn’t. It definitely highlights a lot of great advice and sentiments, but I felt like it was more geared towards people who are struggling with unhealthy weight gain due to binge eating. It wasn’t as focused on those who struggle with restricting food or over exercising, which is where my issues have resided. Perhaps I had too specific expectations of what this book was going to be about. Although I can relate in part to binge eating and the effects that come with it, the advice still felt a little bit too disconnected from my own experiences of what has helped me recover. For me, understanding that a binge or the feeling of loss of control around food was the result of restricting my food intake helped me understand I needed to eat more and regularly. In doing so, my body stopped screaming for nourishment and the intense cravings and periods of feeling like I couldn’t stop eating ceased. The Goddess Revolution can be a great encouragement for anyone who is unhappy with their body, or are constantly jumping from one diet to the next. However, if you are struggling with more serious eating issues you will likely find this book to be too vague in its advice on how to overcome your struggles. By all means, read it, but also seek out counselling to help you get specific recovery guidance. 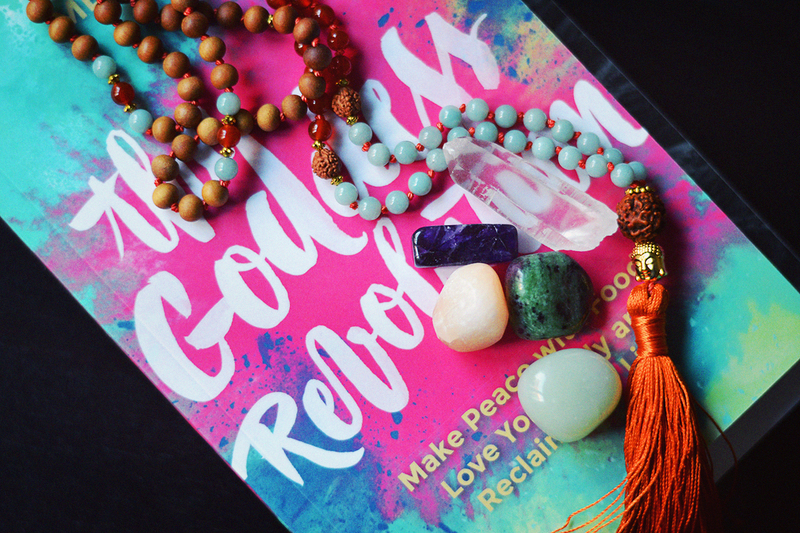 Have you read The Goddess Revolution – what did you think?